FMG’s ratings upgraded (1) August 24, 2016 Following its positive end of year results Moody’s has upgraded FMG’s credit rating. 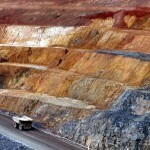 Evolution Mining buys into Glencore’s Ernest Henry mine’s gold (1) August 24, 2016 Evolution has acquired a major stake in Glencore’s Ernest Henry copper gold mine. WA launches new draft ventilation codes (0) August 23, 2016 The West Australian Department of Mines and Petroleum has released a draft code of practice for ventilation in hard rock mining. Volvo launches new high reach demolition machine (0) August 23, 2016 Volvo Construction Equipment (CE) has launched its EC480E HR high reach demolition machine for heavy duty demolition. Coal workers’ pay halving may set precedent (0) August 23, 2016 A number of West Australian companies are following Griffin Coal’s example of dramatically slashing pay after EBAs expire. New sea creature named after FIFO workers (1) August 23, 2016 A new sea creature discovered off Western Australia’s Dampier coast has been named after FIFO workers. Airship pitch to remote miners (5) August 23, 2016 One of the world’s biggest companies is pitching airships as a solution for mining companies to develop inaccessible projects. Rio abandons Indian diamond mine over conservationist concerns (1) August 22, 2016 Rio Tinto has exited from a diamond mine project in India amidst constant battles with tiger conservationists and tribal groups, regulatory issues and lowered diamond prices. FMG reports profit as it continues to drive down debt (0) August 22, 2016 Fortescue has reported US$985 million in profit in its latest end of year results, a 212 per cent increase year on year. New study on asbestos remediation methods (4) August 22, 2016 A University of California San Diego study has challenged the belief that asbestos fibres cannot move through soil. COAG Energy Council sets reforms for energy sector (0) August 22, 2016 The COAG Energy Council is implementing new reforms and a major program to further lower emissions and maintain an affordable energy system. FMG releases its latest mineral reserves figures (0) August 22, 2016 Fortescue Metals Group has released the latest figures on its current ore reserves and mineral resources. Komatsu launches ultra class mining truck (0) August 22, 2016 Komatsu Australia has released the 980E-4 electric drive haul truck. Worker injured in arc flash incident (0) August 22, 2016 A WA worker has been burnt in a low voltage switchboard arc flash incident. 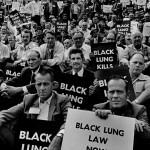 QLD government to set up a black lung parliamentary review (1) August 19, 2016 The Queensland Government is launching a parliamentary review into the resurgence of coal worker’s pneumoconiosis (CWP), or black lung, in the state. 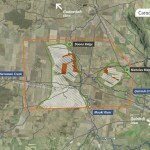 Carmichael coal mine native title decision comes today (0) August 19, 2016 Update: The Federal Court has dismissed the native title decision against Adani’s Carmichael mine with the company welcoming the result. Driller injured in helicopter fall (3) August 19, 2016 A drill offsider has been injured in a helicopter lifting incident. Cat will no longer build tracked drills, bord and pillar mining machinery (0) August 19, 2016 Caterpillar has announced it will discontinue manufacture of its room and pillar and track drills. Mining systems take the lead at Australian Technologies Competition (0) August 18, 2016 Thirty eight of Australia’s tech companies have been shortlisted at the Australian Technologies Competition for the ATC16 Business Accelerator, with mining featuring heavily among the finalists. UQ develop new bauxite processing method (0) August 18, 2016 The University of Queensland has worked with Rio Tinto to create a new way to process bauxite ores. Young Mining operations suspended over unpaid environmental deposit fees (0) August 18, 2016 NSW Riverina based Young Mining, a subsidiary of Orind Australia, has had its licence suspended for failing to pay environmental rehabilitation security deposits. 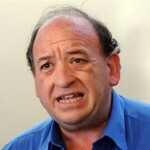 PNG relinquishes stake in Bougainville Panguna mine to locals (0) August 18, 2016 Papua New Guinea (PNG) has given its share in the Panguna copper gold mine to the people of Bougainville in a historic move by the parliament. Maptek releases new survey data tools (0) August 18, 2016 Matpek has released its new I-Site Studio 6.1 which includes new tools that streamline management of survey data. 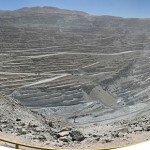 Metso sign massive underground mining deal with Codelco (0) August 18, 2016 Metso has signed a deal with Codelco to aid the transformation of the enormous Chuquicamata mine from open cut to underground. Komatsu unveil new mining shovel (4) August 18, 2016 Komatsu has released its ‘next gen’ mining shovel, the 700 tonne PC7000. Flexco launches belt trainer for conveyor tracking (0) August 17, 2016 Flexco has released the PTEZ Belt Trainer tracking idler for its line of belt trainers. Atlas Copco releases compact iP generators (2) August 17, 2016 Atlas Copco has unveiled two new inverter power (iP) generators. 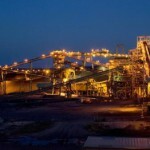 BHP makes gargantuan loss (4) August 16, 2016 BHP has recorded a loss of US$6.235 billion year on year, a 434 per cent decline from its position last year. Latest improvements to mine scheduling software (0) August 16, 2016 Hexagon Mining has released improvements to its MineSight Schedule Optimiser (MSSO) in Version 9.6. EPA gives Mulga Rock uranium project the go ahead (0) August 16, 2016 The Environmental Protection Authority (EPA) has recommended the approval of Vimy Resources’ Mulga Rock uranium project in WA. Atlas Copco consolidates mining businesses (3) August 16, 2016 Atlas Copco has consolidated its mining consumables business in the US and its mining equipment operations in China. Evolution to sell Pajingo gold mine to Chinese firm (0) August 16, 2016 Evolution has agreed to sell the Pajingo gold mine to Chinese company Minjar Gold for $52 million. 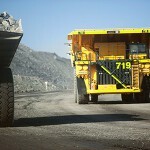 RCR win Rio Tinto iron ore contract (0) August 16, 2016 RCR Tomlinson has been awarded a contract to provide materials handling systems at Rio Tinto’s Silvergrass mine. Women in STEM to shine during National Science Week (1) August 15, 2016 Flinders University has unveiled an illuminating project to highlight successful women in Australia’s STEM sector as part of National Science Week (13 – 21 August). MMG’s Golden Grove may be for sale (0) August 15, 2016 MMG has confirmed it is open to the sale of its Golden Grove mine in Western Australia. Lycopodium win Perseus gold contract (0) August 15, 2016 Lyocpodium has won a $38.4 million contractor for the delivery of the Sissingue gold project. New Curtin Uni facility unlocking ‘hidden’ gold (0) August 15, 2016 Scientists at Curtin University have uncovered gold nanoparticles in arsenopyrite using atom probing. Santos announce billion dollar GLNG impairment (0) August 15, 2016 Santos has announced a write-down of US$1.5 billion on its GLNG asset. Iron ore to leap even higher (0) August 12, 2016 This year’s iron ore rally is expected to continue due to the weakening US dollar and supported by Chinese growth, Prestige Economics president Jason Schenker says. NSW buys back BHP Caroona coal exploration licences (0) August 12, 2016 The NSW Government has bought back BHP’s Caroona coal exploration licences on the Liverpool Plains for $220 million. Miner dies from Black Lung, CFMEU claims (9) August 12, 2016 A former miner has died due to complications from Black Lung, the CFMEU has claimed. 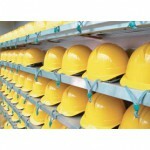 Mining health and safety conference set for the Gold Coast (0) August 12, 2016 The Queensland Mining Industry Health and Safety Conference will take place this year on the Gold Coast for the first time since its inception 28 years ago. Ausdrill wins contract extension with Perseus (5) August 12, 2016 Ausdrill subsidiary African Mining Services (AMS) has signed a contract with Perseus Mining for added mining works at Ghana’s Edikan Gold Mine. McLanahan unveils new line of vibrating screens (0) August 12, 2016 McLanahan has released the MD Vibratory Screen line of vibrating screens; compact, high capacity, dry screening unit for minerals. Plans for first commercial space mining venture gets off the ground (0) August 11, 2016 Deep Space Industries has announced plans to launch the world’s first commercial extra-terrestrial mining mission. Cat unveils first hard rock longwall system (3) August 11, 2016 Cat has released the new Rock Straight System, the HRM220, a fully mechanised longwall system for continuous mining of flat and tabular deposits of hard rock minerals. Frozen creature unearthed in Siberian mine (5) August 11, 2016 Miners have uncovered the remains of a strange creature in the diamond sands at the Udachny mine in Siberia. 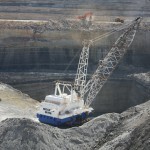 New Peabody business plan outlines Australian asset future (0) August 11, 2016 Peabody Energy has outlined a new business plan after it was given a last minute financial lifeline. Petra unearths another large gem (6) August 11, 2016 Petra Diamonds has unearthed a 138.57 carat Type IIa diamond at its Cullinan mine in South Africa. 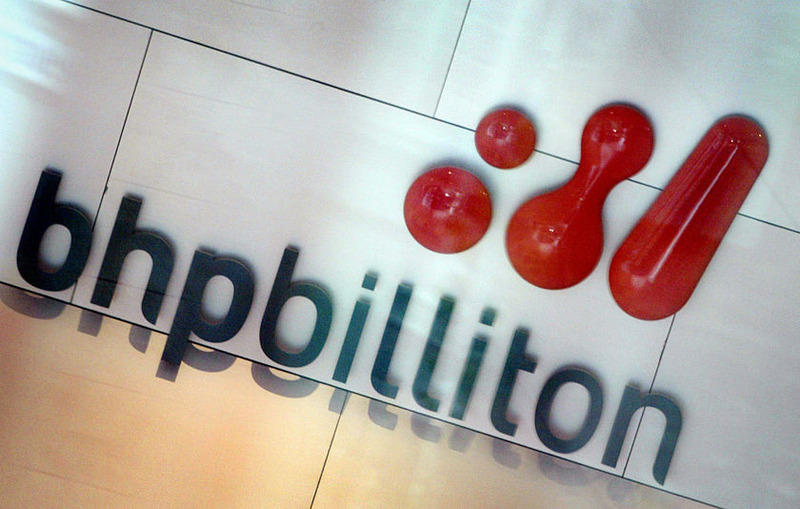 BHP Billiton opens new app development hub (128) August 10, 2016 BHP has launched its new Mobile Applications Hub in Shanghai which will develop applications for mobile devices to help improve workers’ communications and productivity at sites worldwide. Wambo coal enviro statements released (4) August 10, 2016 The joint Glencore and Peabody Energy Wambo coal mine has released its environmental impact statements to the public. Cat launch new motor grader with larger engine (0) August 10, 2016 Caterpillar has unveiled its new 14M3 motor grader, which builds on its predecessor models. New down-the-hole drill system to combat over-drilling (0) August 10, 2016 Sandvik has developed the Centrex Pro, a new down-the-hole drilling system designed with Spiral Flush to protect against the impacts of over-drilling. Man-made materials found to occur in nature (0) August 10, 2016 Scientists in Canada and Russia have discovered rare minerals found in Siberian coal mines have similar structures to man-made metal-organic frameworks (MOFs). 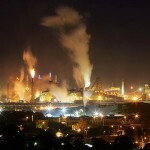 NZ WorkSafe drops Pike River disaster charges against Whitall (0) August 10, 2016 WorkSafe New Zealand has dropped all charges and appeals against former Pike River coal mine head Peter Whitall after his insurer paid survivors and the victims’ families. Miner sets himself on fire to protest pay delays (0) August 10, 2016 A Ukrainian coal miner has set himself alight to protest ongoing wage arrears after industrial action and hunger strikes failed. 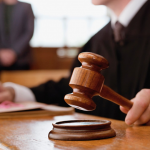 Copper Mines of Tasmania pleads guilty after worker deaths (0) August 9, 2016 Copper Mines of Tasmania (CMT) has pleaded guilty to safety failure charges after the deaths of underground workers its Mt Lyell site in 2013. Caterpillar dozers equipped with remote technology (4) August 9, 2016 RCT has successfully retrofitted a Caterpillar D8R with remote technology to adhere to new safety regulations. Evolution considering Pajingo gold divestment (2) August 9, 2016 Evolution Mining is considering the divestment of its Pajingo gold mine, after receiving approaches for the asset. 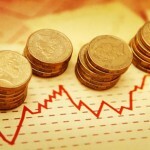 Mining and those three little words [opinion] (11) August 9, 2016 The mining industry may not be at its economic peak, but it is a peak time for it to institute major change. McArthur River mine halts work after dust issues (49) August 8, 2016 The Northern Territory Department of Mines and Energy are investigating whether waste rock at Glencore’s McArthur River Mine is burning yet again. Report released into fatal gantry accident (14) August 8, 2016 The WA Department of Mines and Petroleum has released an initial report into a fatal incident where a worker was crushed by a gantry bridge. New mineral extraction process developed (907) August 8, 2016 Scientists at South Australia’s Flinders University are developing a series of experiments to extract minerals from ore using environmentally friendly microbes usually found on mine sites. Industry Q&A: Innovation, organisation design and strategy overhauls (0) August 8, 2016 METS industry body Austmine discusses with VCI how innovation is changing the face of the resources industry. Production to begin at world’s largest new diamond mine (1) August 5, 2016 Mountain Province Diamonds has began ramping up its Gahcho Kué diamond mine in Canada’s Northwest Territories to commercial production, following its successful commissioning. Resources companies honoured at 2016 AMMA awards (150) August 5, 2016 The ninth annual Australian Mines and Metals Association (AMMA) Industry Awards took place on Thursday to celebrate outstanding people and programs in Australia’s resources industry. Automatic lubrication device for bearings (1) August 5, 2016 Schaeffler has released the latest series of Motion Guard automatic lubrication devices, an environmentally friendly method of keeping bearings adequately lubricated. Rio’s half yearly report delivers strong iron ore performance (0) August 4, 2016 Rio Tinto’s latest half yearly report has indicated a $3.2 billion net cash generation from their operations in their latest half year financial report. Minetec secures $1.8m technology contract (1) August 4, 2016 Minetec has won a $1.8 million contract with RUC Cementation Mining Contractors to provide underground tracking technologies for a WA mine. Indigenous woman becomes Fortescue’s CEO for a day (1) August 4, 2016 Careen Lee was selected as Fortescue’s CEO for a day, experiencing how the business operates from the highest level. Employment prospects for geoscientists start to see positive outlook (9) August 4, 2016 Job prospects for Australia’s geoscientists are showing signs of improvement with falling rates of unemployment. Movement Planner goes live to support Aurizon’s network (0) August 4, 2016 GE Transportation and Aurizon have announced a successful implementation of GE’s Movement Planner into Aurizon’s Control Centre. FMG focusing on driving down debts, the perfect blend, at Diggers (0) August 3, 2016 Fortescue Metals has highlighted how its debt strategy is starting to pay dividends for the miner at Diggers & Dealers. Mood upbeat at Diggers & Dealers (14) August 3, 2016 Gold has been the rock star of this year’s Diggers & Dealers, Evolution Mining’s Jake Klein has said, but nickel and lithium are the surprise winners of 2016. Failed mine rehabilitation fees could have taxpayers footing the bill (0) August 3, 2016 A Western Australian initiative to refund mine rehabilitation funds has backfired, critics say. 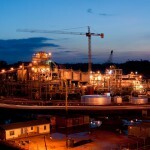 Lycopodium wins gold plant contract (0) August 3, 2016 Lycopodium has been awarded a $68.5 million EPC processing plant contract from Toro Gold. 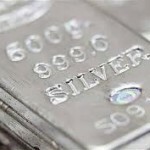 Zinc rallies after months of mine closures (1) August 3, 2016 The zinc rally is set to continue in strength with open interest, a total of outstanding contracts in zinc on the London Metal Exchange, reaching its highest since October. 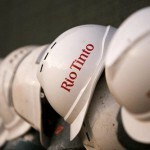 Rio Tinto reinvesting in the Pilbara (4) August 3, 2016 Rio Tinto has announced it will invest $338 million to complete development of its existing Silvergrass iron ore mine. Nickel price to rise, Indpendence Group says (1141) August 2, 2016 Growing electric vehicle battery demand coupled with the Philippines cracking down on mining spells a boon for the nickel industry, Independence Group has said at Diggers & Dealers. 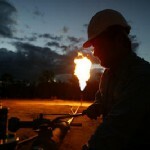 Gorgon LNG production on track (2) August 2, 2016 Gorgon’s second processing line is expected to produce LNG by October and the Third train by April next year, Chevron says. New innovation initiative launched in Europe (60) August 2, 2016 Russia-based diamond mining group, ALROSA, has become a partner of the GeneratorS 2016 which encourages innovation in Russia and Eastern Europe. Brierty wins Newmont gold contract (5) August 2, 2016 Brierty has secured a $30 million contract for mining services at Newmont’s Boddington gold project. New global mining code developed (847) August 2, 2016 A new mining code has been launched by the World Initiative of Mining Lawyers (WIOML) to aid countries in both attracting investment and securing benefits for their own economies. 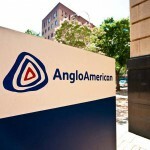 Anglo American knocks back merger, despite fears of worsening slump (0) August 1, 2016 Anglo American has reportedly rejected a merger offer from Vedanta Resources, despite CEO Mark Cutifani’s fears the worst is yet to come. QME 2016 Wrap (13) August 1, 2016 An insight into what was on show in Mackay, and the themes of this year’s QME. Kalgoorlie Super Pit up for sale (2) July 29, 2016 Barrick Gold will put its share of Kalgoorlie’s Super Pit gold mine on the market. R U OK? campaign tackles FIFO worker mental health support (0) July 29, 2016 Suicide prevention organisation R U OK? 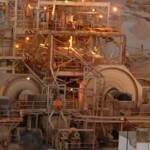 has launched a new campaign encouraging FIFO workers to support one another before they “hit rock bottom”. Geoscience Australia takes out innovation award (6) July 29, 2016 Geoscience Australia’s Mineral Potential Mapper tool has won the Engaging with the Edge category at the 2016 Public Sector Innovation Awards. 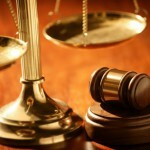 Case against Tasmanian mine deaths resumes (8) July 29, 2016 Charges against Copper Mines of Tasmania (CMT) are proceeding in August after the company failed to meet health and safely requirements that lead to the deaths of three workers. Gold miner killed at Waihi (4) July 29, 2016 A miner has been killed after his loader tipped, while operating underground at OceanaGold’s Waihi mine. Sulfur fire at Perth industrial business (0) July 28, 2016 A 100 square meter sulfur pile was on fire at an industrial site in Kwinana, Perth. 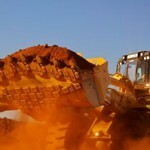 New partnership to boost Queensland METS sector (0) July 28, 2016 Resource Industry (RIN) and Austmine have entered an agreement advance each organisation’s support of the mining equipment, technology and services (METS) sector in the Mackay region. Women reach for success in new mentoring program (1) July 28, 2016 A new mentoring program has been launched in Brisbane to help women develop their careers in Queensland’s resources industry. 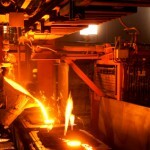 Embrace innovation or suffer, Deloitte tells miners (1) July 28, 2016 Cost cutting and incremental improvements aren’t enough to lift mining, and the industry must embrace innovation or else, a Deloitte report says. 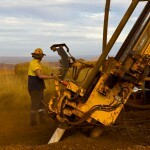 BGC wins Queensland mining contracts worth $114 million (0) July 27, 2016 BGC Contracting has secured contracts worth $114 million to provide mining services at two operations in Queensland. Seabed investigation begins at nuclear power site (0) July 27, 2016 Furgo has begun marine site characterisation works for Horizon Nuclear Power at the proposed Wylfa Newydd power station site on the Isle of Anglesey, UK. 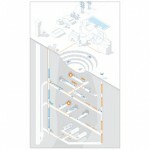 New mine ventilation solutions to benefit site planning (0) July 27, 2016 Maptek and VUMA, a subsidiary of Bluhm Burton Engineering (BBE), have partnered to create a mine design and ventilation solution system. Miner killed at Norseman (3) July 27, 2016 A worker has been killed at the Central Norseman gold mine. Drones take flight to benefit resources industry (1) July 26, 2016 Shell has welcomed the announcement of the Queensland Government’s $1 million support of a research project using remotely piloted aircraft systems (RPAS), or drones. QME 2016 officially opens (2) July 26, 2016 The Queensland Mining and Engineering Exhibition has been officially opened for 2016. Could a Trump win lift gold? (1) July 26, 2016 A new ABN AMRO study states gold will rise in price under a potential Trump presidency. Valor announces Australian projects manager (5) July 26, 2016 Joe Ray has joined Valor as Australian projects and programs Manager, to further develop their growing portfolio of regional and national accounts within Australia, New Zealand and New Caledonia. 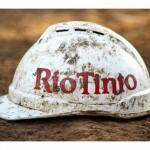 Rio Tinto to turn to contractors for iron ore (1) July 25, 2016 Rio Tinto has announced it will now only hire contract labour for its iron ore operations. New drill hammer withstands heat of geothermal drilling (0) July 25, 2016 Sandia National Laboratories, in collaboration with Atlas Copco, have designed a drilling tool that can withstand the heat of geothermal drilling. 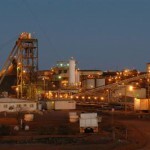 BHP withdraws from Newman FIFO camp (3) July 25, 2016 BHP Billiton has withdrawn from its Kurra Village FIFO camp in Newman, WA, securing a win for Nationals leader Terry Redman over the camp’s license extension. Carrington coal terminal receives two new ship-loaders (0) July 25, 2016 Two new coal ship-loaders to be installed at the Carrington coal terminal arrived in the Newcastle port on Sunday afternoon. Are Rio Olympic medals only fools gold? (0) July 25, 2016 The gold medals at this year’s Summer Olympic games in Rio de Janeiro will be shiny and yellow but will contain hardly any gold. Aurizon cuts 300 jobs whilst writing off Aquila acquisition (0) July 25, 2016 Frieght rail operator Aurizon has written off its investment in Aquila Resources and said it was shedding about 300 jobs in response to weakening coal prices. 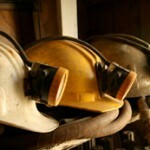 Five mining companies record zero deaths: mining safety report (0) July 22, 2016 The International Council on Mining and Metals (ICMM) has released the 2015 mining safety report, with five members recording zero fatalities for the year. Coal exports rise in the hunter (13) July 22, 2016 The Hunter region has recorded rise in coal exports year on year, despite a drop in price. South Australia’s final frontier to be explored (4) July 22, 2016 OZ Minerals has partnered with Mithril Resources to explore seven new licence areas in South Australia’s last underexplored frontier. Thyssenkrupp partner with EIRICH on minerals processing (1) July 22, 2016 Thyssenkrupp Industrial Solutions has partnered with EIRICH to build high capacity grinding mills. 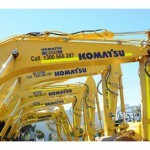 Komatsu to acquire Joy Global (4) July 22, 2016 Komatsu will acquire mining machinery manufacturer Joy Global for US$3.7 billion. Monadelphous secures contracts worth $140million (4) July 21, 2016 Monadelphous won new contracts and additional works for a range of projects in the resources industry valued at $140 million. 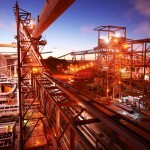 BHP records production declines as it continues ‘streamlining’ (0) July 21, 2016 BHP has recorded a drop in first half production levels across the board. 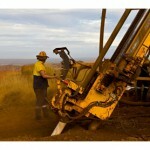 QLD Government sets new exploration program (0) July 21, 2016 The Queensland Government has launched a new annual exploration program, releasing 826km2 of land for tender for minerals and gas exploration over the next 12 months. 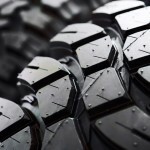 Yokohama develops new underground machine tyres (0) July 21, 2016 Yokohama have released the latest addition to the Y67 off-the-road line of tyres for underground mining. Contractor fined for arc flash incident (2) July 21, 2016 Contractor Crushing Services International has been fined after a work was seriously burned in an arc flash incident. Thiess win Oyu Tolgoi contract (4) July 21, 2016 Thiess has been awarded the first underground decline project at the Mongolian Oyu Tolgoi mine. Million dollar red diamond coin sold (28) July 20, 2016 The Perth Mint has sold the $1 million dollar Argyle red diamond coin within two days of its release. Pybar win Carrapateena decline contract (0) July 20, 2016 Pybar have won the contract to build OZ Minerals’ Carrapateena decline. Valence Industries enters voluntary administration (4) July 20, 2016 Valence Industries, owner of the Uley graphite mine south west of Port Lincoln, has entered voluntary administration after failing to raise capital. SACOME chief executive resigns (6) July 20, 2016 South Australia Chamber of Mines and Energy (SACOME) chief executive Jason Kuchel will step down from his position at the end of November this year. CFMEU calls for better training to help doctors combat black lung (0) July 19, 2016 The CFMEU is calling for increased training of doctors who assess the health of coal workers following the release of the Monash University review into black lung. 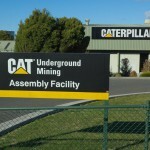 Centre of Excellence opened to replace hole left by Cat’s exit (0) July 19, 2016 A new Manufacturing Centre of Excellence has been opened in Burnie, in response to Caterpillar Underground Mining’s decision to move manufacturing to Thailand. Rio Tinto releases second quarter production results (1) July 19, 2016 Rio Tinto has seen production increases across the board, seeing a leap in all segments bar coking coal. Matt Canavan appointed as new resources minister (0) July 19, 2016 Matt Canavan has been appointed the new mines minister, as well as Northern Australia. 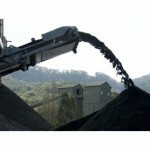 Wollongong Coal fined for dirty water discharge (0) July 19, 2016 Wollongong Coal has been fined $30,000 by the NSW Environmental Protection Authority (EPA) after its Russel Vale coal mine discharged dirty water into Bellambi Gully in December last year. 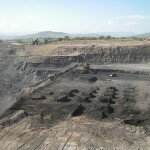 One dollar coal mine gets bid from conservation group (0) July 19, 2016 Mackay Conservation Group is offering to pay $2000 for the Blair Athol coal mine in Queensland’s Bowen Basin, following TerraCom’s plan to purchase it for just $1. 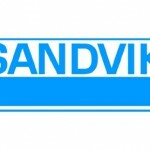 Sandvik divest mining materials handling division (0) July 19, 2016 Sandvik has announced it will divest its Mining Systems division to private equity firm CoBe Capital. EPA satisfied with Werris Creek mine water discharge (0) July 18, 2016 The NSW Environmental Protection Authority (EPA) has found that the water discharged from the Werris Creek mine met environmental requirements. Indigenous joint venture win contract for Century mine maintenance (0) July 18, 2016 A joint venture between the Waanyi Prescribed Body Corporate (Waanyi PBC) and ReGen has secured a contract for maintenance at MMG’s Century mine. 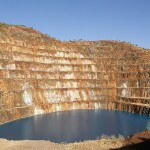 WA uranium mines to see environmental approval (0) July 18, 2016 The Environmental Protection Authority (EPA) is expected to approve two uranium mines in WA’s Goldfields. The state of metals: June 2016 (4) July 18, 2016 An insight into how metals have performed the year to date, and how they move in the year ahead from Pallion Group and ABC Bullion general manager Nicholas Frappell. BHP launch coal remote operations centre (18) July 18, 2016 BHP has launched an integrated remote operations centre in Brisbane for its coal business. QLD supports new mine worker memorial (0) July 18, 2016 The QLD government is contributing to the construction of a new Moura Miners’ Memorial to honour workers who died in mining accidents. The Winners of the 2016 Women In Industry awards (6) July 15, 2016 The third annual Women In Industry awards drew together hundreds of people, focusing on the amazing achievements of women in Australia’s industrial sectors. WA DMP reveals how fatal drill incident occurred (0) July 15, 2016 A West Australian Department of Mines and Petroleum investigation has revealed how the first fatal accident of 2016 occurred. Atlas Copco Compressors expands VSD range (0) July 15, 2016 Atlas Copco Compressors has expanded its range of GA screw compressors with variable speed drive technology. More suspected cases of black lung (1) July 14, 2016 Around 20 Queensland miners will be retested for black lung following US reviews of the x-rays, which have detected signs of the disease. Mines minister announces new regime to protect coal miner’s health (0) July 14, 2016 Natural resources and mines minister Anthony Lynham has announced a new three step regime to safeguard the health of coal miners. Woodside acquires ConocoPhillips Senegalese interests (0) July 14, 2016 Woodside has entered an agreement to acquire ConocoPhillips’ interests in Senegal for US$350 million. Alrosa uncover large diamond (4) July 14, 2016 Alrosa has found a large 214.65 carat diamond. 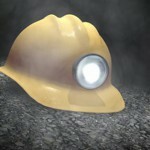 Health screening system for coal workers a failure: report (0) July 13, 2016 The final report into the re-emergence of coal worker pneumoconiosis (CWP) has confirmed the failure of the health screening system designed to protect coal miners. 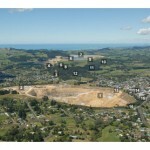 New Zealand mining jobs at risk if safety regulations not upheld (0) July 13, 2016 Industry representatives from the mining, quarrying, and contracting sectors are calling for site managers to renew competency certificates or risk losing their jobs. 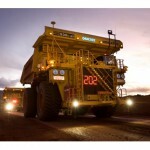 Hexagon unveils single scheduling and haulage planning software (0) July 13, 2016 Hexagon Mining has released Atlas 3.3 with Live Haulage, which allows for simplified design, set-up, and management of haulage networks. New drilling technology that ‘melts’ rock researched (0) July 13, 2016 MIT is researching new technology that can ‘drill’ by using radio-frequency wave generators to melt or vaporise hard rock. 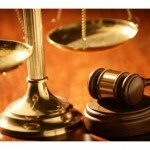 New online legal resource for junior miners (0) July 13, 2016 Australian law firm Herbert Smith Freehills has created a free set of online legal resources for explorers to assist them with implementing early stage projects. Bids begin for Glencore coal rail assets (1) July 13, 2016 Initial bids for Glencore’s Hunter Valley rolling stock and haulage assets are rolling in. One million dollar Argyle red diamond coin dazzles at Perth Mint (1) July 13, 2016 Rio Tinto has unveiled the world’s first coin featuring a rare red diamond from Perth’s Argyle diamond mine. Iron ore soars in price (30) July 13, 2016 Iron ore has rallied overnight to close to US$60 per tonne off China’s ongoing plans to cut capacity and uncertainty over China’s south sea claims. Maptek launch new mine scheduling software (0) July 12, 2016 Maptek has developed new tools in Maptek Evolution to improve mine scheduling processes. Gold rally drives producer value (0) July 12, 2016 Gold has continued its post-Brexit rally, cementing its position as 2016’s top performing commodity. 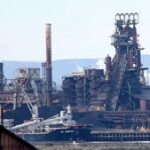 Long-term security for Arrium Whyalla needed: SA politicians (0) July 12, 2016 The South Australian government and SA senator Nick Xenophon have urged the new federal government to secure the long-term future of the Whyalla steelworks. 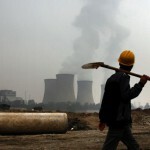 China continues coal crackdown (3) July 12, 2016 China’s ongoing five year plan to cut coal and steel production and address pollution will see it punish regional governments for failing to close coal mines and steel mills. First images of Nullarbor plains geology released (0) July 11, 2016 New geological images have been released of the Nullarbor Plain, providing an insight into its mining potential. 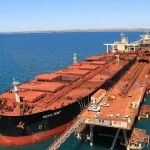 Australian Government predicts lower iron ore prices (0) July 11, 2016 The Australian Government has revised its initial 2016 budget forecasts for iron ore, dropping them by a fifth as market volatility continues. 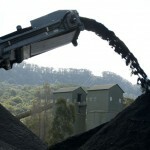 Deutsche Bank exits coal as Morgan Stanley reaffirms its support (0) July 11, 2016 Weak coal prices and environmentalist pressure has seen Deutsche Bank drop its coal investment team, however Morgan Stanley has reiterated its support of coal. New material spreader body launched (2) July 11, 2016 Phillippi-Hagenbunch has released the new Material Spreader Body to enhance mine haul road maintenance efficiency. SA state budget released: major focus on resource sector (0) July 11, 2016 The South Australian Chamber of Mines and Energy (SACOME) has welcomed the South Australian state budget’s major priority on the resources sector. GR Engineering win Auctus concentrator contract (0) July 11, 2016 GR Engineering has won a $36 million EPC contract with Auctus Resources for a concentrator at its Mungana mine. 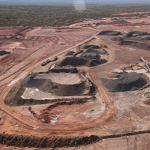 Contractor says Samsung owes millions for Roy Hill work (0) July 8, 2016 Duro Felguera believes it is owed more than $100 million by Samsung C&T for work at Gina Rinehart’s Roy Hill mine. Monash University offers new Resources Engineering courses (4) July 8, 2016 Monash University is offering a new Resources Engineering program designed to address the expansion of the renewable energy sector and meet the wider resource industry needs. Drilling commences at Woodlawn mine (3) July 8, 2016 Heron Resources has begun drilling at its Woodlawn Zinc-Copper Project, 30 km south of Goulburn in NSW. Mining magnate fails to stop mining on his land (0) July 8, 2016 Andrew Forrest has failed in his bid to halt mining on his Pilbara family farm. Miners need to focus on balance sheets to survive, EY says (0) July 7, 2016 Mining companies need to focus on strengthening their balance sheets and generating cash if they are to survive current market instability, EY states in its latest report. 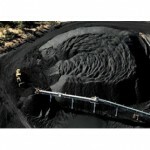 Arch Coal escapes bankruptcy litigation with timely loan (0) July 7, 2016 Arch Coal has escaped possible litigation from creditors after securing support to work its way out of Chapter 11 bankruptcy. New Strater 5 well log plotting software launched (0) July 7, 2016 Golden Software has released the new Strater 5 well log, borehole, and cross section plotting software. Farmur acquires Kopex in major mining equipment supplier merger (0) July 7, 2016 Polish manufacturer and mining equipment supplier Famur is set to acquire Kopex, creating a merger of two of the nation’s major resource machinery suppliers. Toro Energy signs native title agreement (0) July 7, 2016 Toro Energy has signed an agreement with Traditional Owners for its Wiluna uranium project. Victoria to implement fire protection maintenance standard (0) July 6, 2016 The Victorian Government is implementing the fire protection maintenance standard AS1851 – 2012 for routine servicing of fire protection systems in all new and existing buildings. 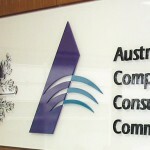 ACCC to tackle large companies pressuring small contractors (0) July 6, 2016 Under new Federal laws, the Australian Competition and Consumer Commission (ACCC) is aiming to pursue unfair contracts by large companies that squeeze smaller subcontractors and suppliers. 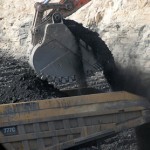 Downer wins Meandu coal mine contract extension; signs Adani agreement (0) July 6, 2016 Downer EDI has signed a two year extension for mining services at Stanwell’s Meandu coal mine and a technical services agreement with Adani.